Izzy (Muchmusic) - is a 2001 OTTB, that I purchased as a 5yr old. She is a beautiful mover and scopey jumper. She is a fun mare to ride with lots of go in her! She is now a part of my breeding program. This is an expectional horse with everything to offer! 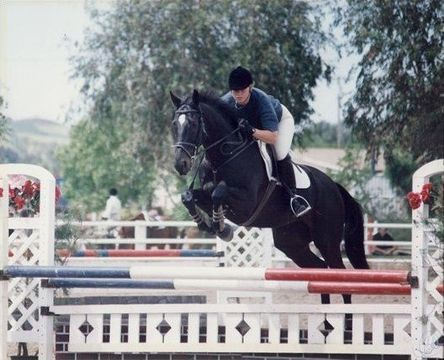 Tria (Trieste Lady)-is a 2002 OTTB mare by Old Trieste and out of Bat Prospector, by Mr. Prospector. 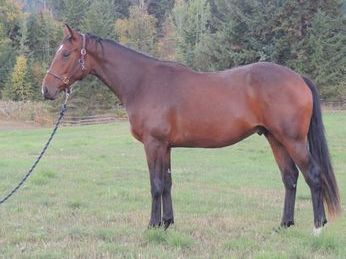 Rian - is a 2012 IDSH gelding. 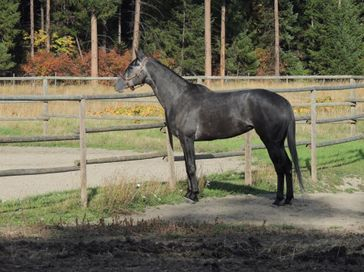 He is a beautiful boy with a wonderful temperament, amazing personality and a huge stride! This boy is going to excel in anything he is asked to do! We are very excited about his future. 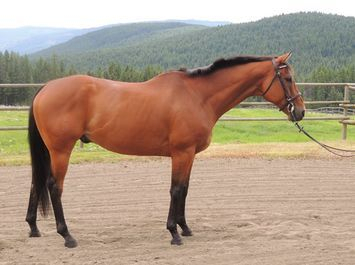 King's Prospect- is a 2015 IDSH gelding. Quinn is a character! He is going to be big and fancy! He is bred for sport and we are looking forward to seeing what he is made of. King's Song- is 2015 IDSH filly. Neala is a fancy little girl! She has a beautiful elastic trot and floating canter. She is a full sibling to Rian. We are excited to see how she develops. 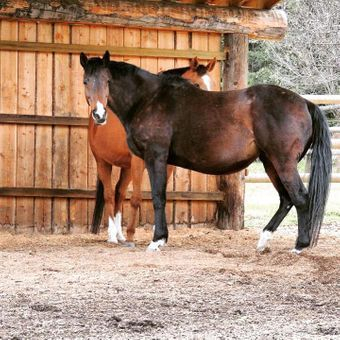 Looking for your next sport horse prospect? 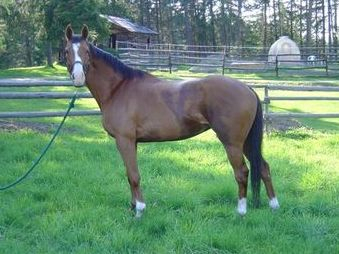 I regularly have quality Off-the-track Thoroughbreds (OTTBs) for sale. Known for their amazing athleticism, work ethic, “great heart” and willingness to please. OTTBs have proven to be the ultimate equine partner in a variety of disciplines: Eventing, dressage & hunter/jumpers just to name a few. I feel very privileged to work with these amazing athletes and help them find their second career after their time at the racetrack is over.